Program to demonstrate how to retrieve an object from database by primary key using Hibernate Framework. 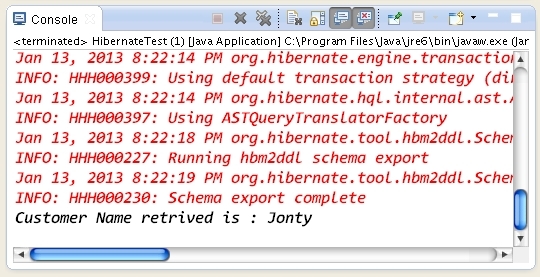 A simple POJO class (model) Customer.java, whose object we want to store and than retrieve back using primary key from database using Hibernate. A simple test class to save and than retrieve an object from database using the primary key. // for which we want to retrieve.